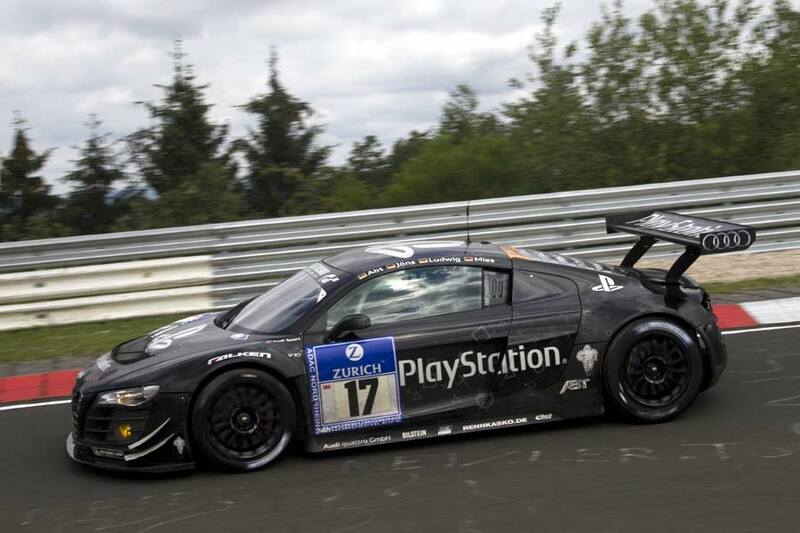 Sony has created PlayStation Racing Simulator in the style of Audi’s R8 LMS race car. 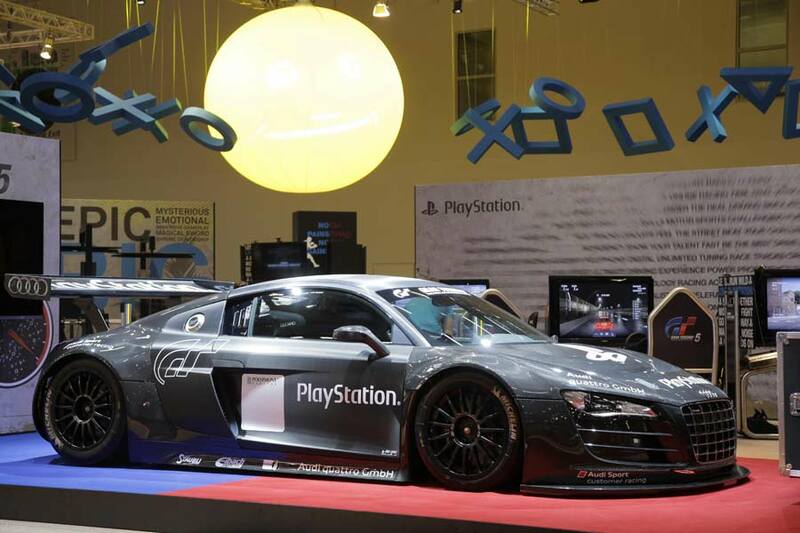 The impressive-looking machine made its début today at gamescom 2011 in Cologne. 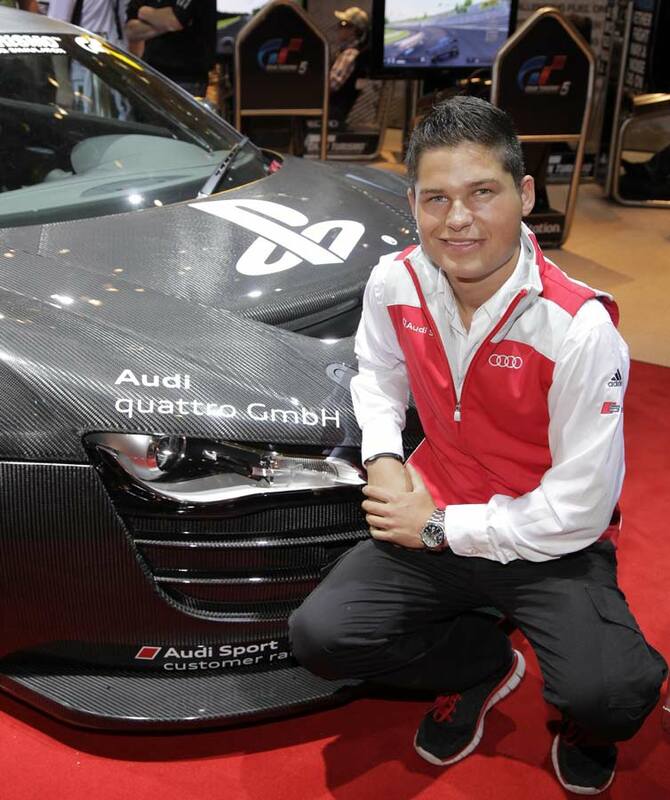 European GT3 champion Christopher Mies was present at the simulator’s unveiling to witness gamers experience Gran Turismo 5 – while controlling it from the cockpit of a carbon-black Audi R8 LMS. 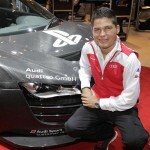 The simulator isn’t based on an adapted production car, but was purpose-built by quattro GmbH in Neckarsulm. Inside there’s a bucket seat for the ‘driver’ and a second one added for a spectator. There’s also a roll-cage, but this has been simplified so players can enter and exit the car more easily. One strapped in, the occupant grips a race steering wheel equipped with flappy paddle gear shifters which – along with the foot pedals – are connected directly to the PlayStation-3 system. Pneumatic cylinders replace the car’s suspension, helping to bring centrifugal forces to the player’s body while accelerating, braking and cornering. The addition of a Dolby Surround system, feeding noises from the racetrack into the cabin, is the icing on the cake.